Subtle yet distinctive forms of a monochromatic palette. There is a sense of orderly arrangement in the room with simple and clean lines. This emphasizes the purity of the room. 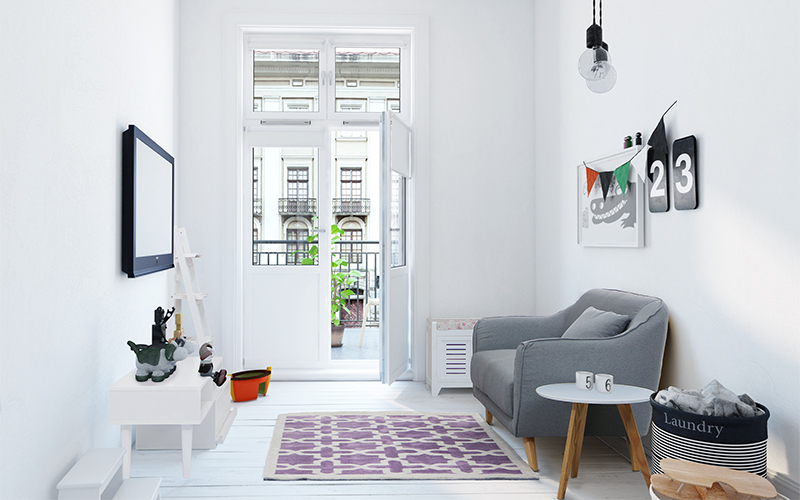 White-washed walls bring a touch of personality to the space. To keep that as a focal point, subtle yet warm furniture pieces are featured. The wood-on-white space brings in the light vibe of a young apartment and at the same time, keeping it clean and classic. Beach elements that splash onto the white interior create different layers in this space. 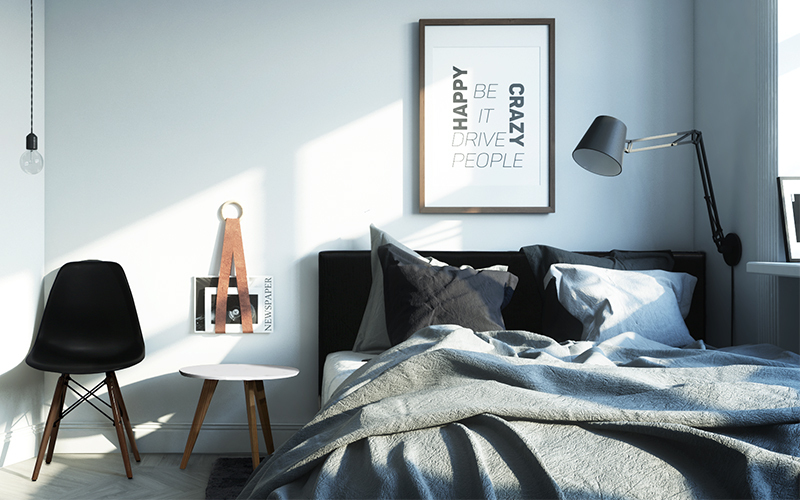 With a splash of your favorite color at the correct space, the room automatically becomes unique to yourself, allowing the room to be more presentable and seem more dynamic than a full white room. 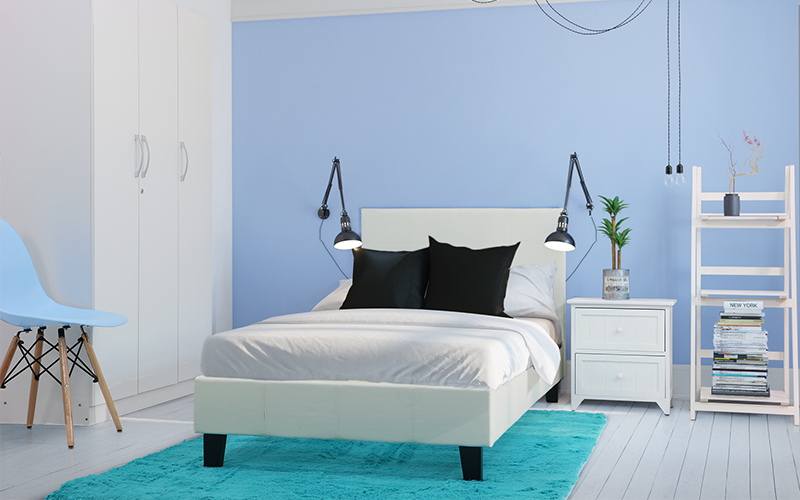 Step into a room of calming space with different hues of blue. Black and white never get old. The clean forms of black and white make a statement and this is inspired by Bahaus’ approach to modernity. 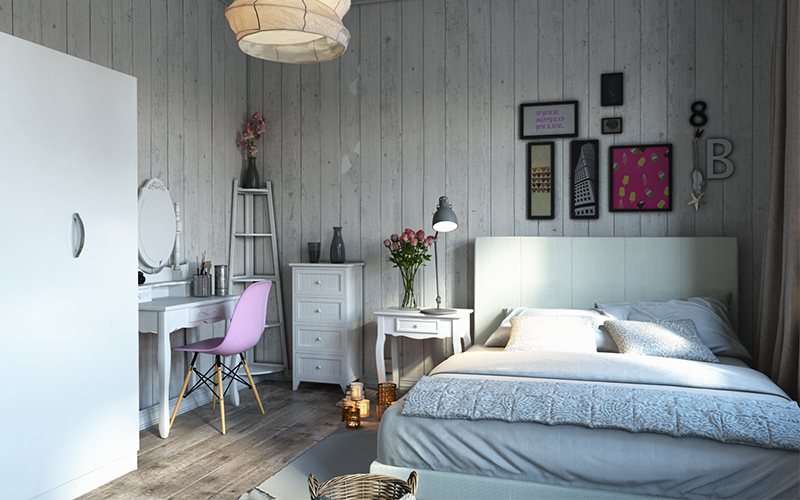 Selecting black and white for your room will never go out of style! The furniture pieces and decor provide a slight diversion from the overall color of the space. In the end, they unite the entire space to look as one. An interesting approach to simplistic design. 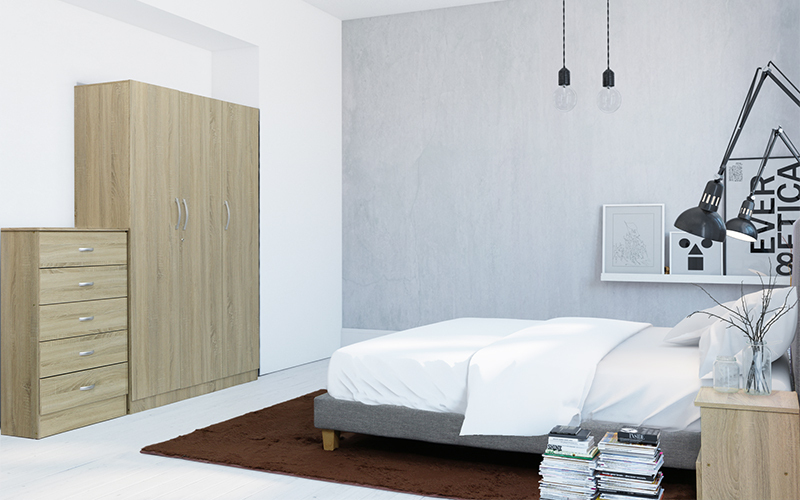 This straight-forward color scheme takes on a refreshing look with the contrast of brown and unfinished concrete walls. Each object tells a story about its form and colour, creating a dynamic rhythm throughout the room. Rustic Antoinette focuses on the feminine design of a bedroom by featuring the Oceane Side Table and the Esmeralda Dressing Table. The white and soft neutral colours and the semi-ornamented design bring about this feminine touch.